Deco devotees shop year-round for the perfect ensemble and accessories, at the big deco shows, in vintage clothes shops, at department store outlets and thrift shops, or online through eBay. Please have a look at our Ladies and Gentlemen pages for some inspiration on what to look for! For more fashion guidance, order ADSC's charming and informative "How To Gatsby" and "Dressing Deco" booklets, available for $8 each, or $15 for both. 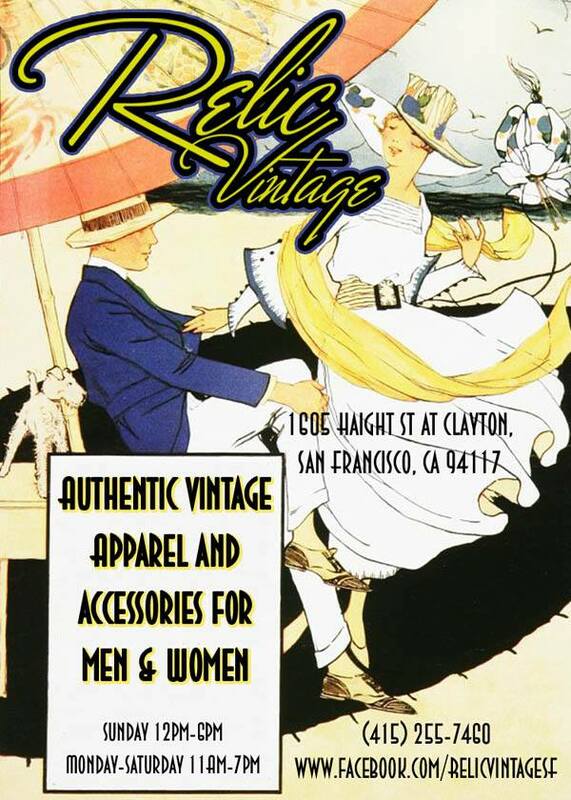 Many of our favorite vintage clothing dealers are loyal ADSC members, supporters and advertisers. Be sure to let them know you’re attending the Gatsby Summer Afternoon! The 1st Sunday of every month! Clothing, picnic supplies, and much, much more.